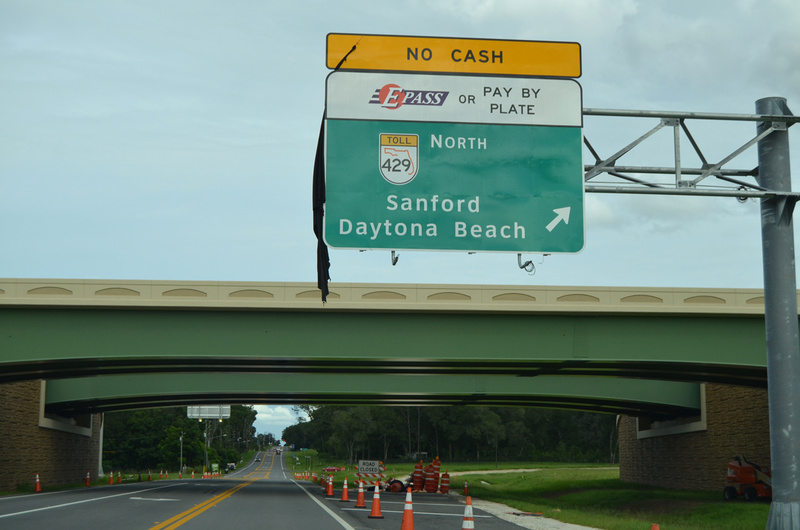 Construction continues on the $74.5 million project to convert the busy diamond interchange linking Interstate 75 with University Parkway in Sarasota, Florida to a large diverging diamond (DDI). 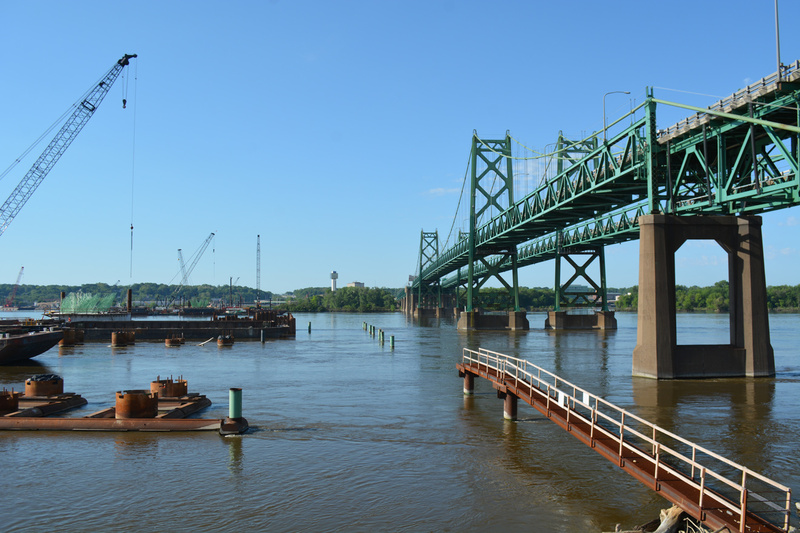 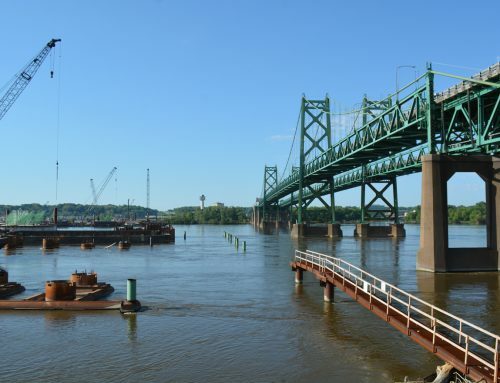 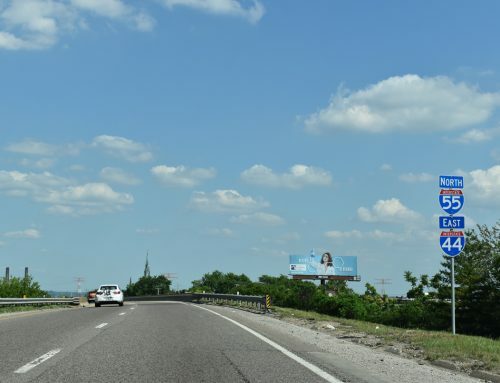 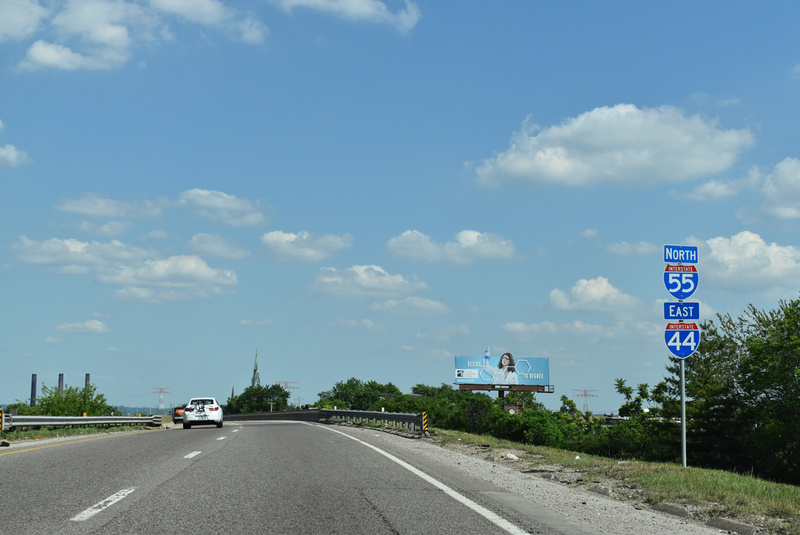 Work runs through fall 2017 on what is touted as the state’s first DDI. One lane of traffic currently departs for University Parkway on I-75 south. 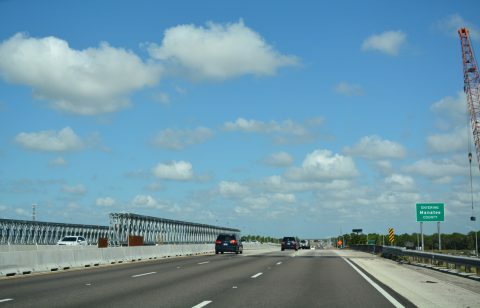 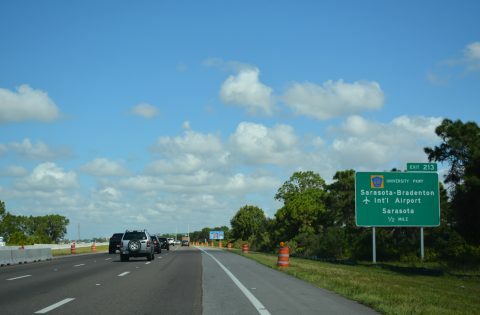 Upon completion, two-lane off-ramps will take motorists from the freeway to a five-lane separation for the parkway west to Sarasota and east to Lakewood Ranch. 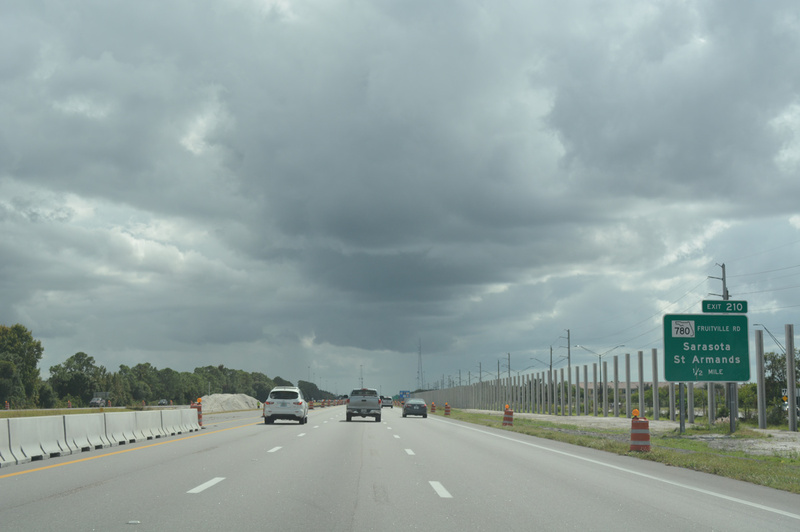 A temporary bridge carries southbound traffic over University Parkway while crews build new permanent overpasses for Interstate 75. The new spans will accommodate 12 overall lanes between the respective on and off ramps below. 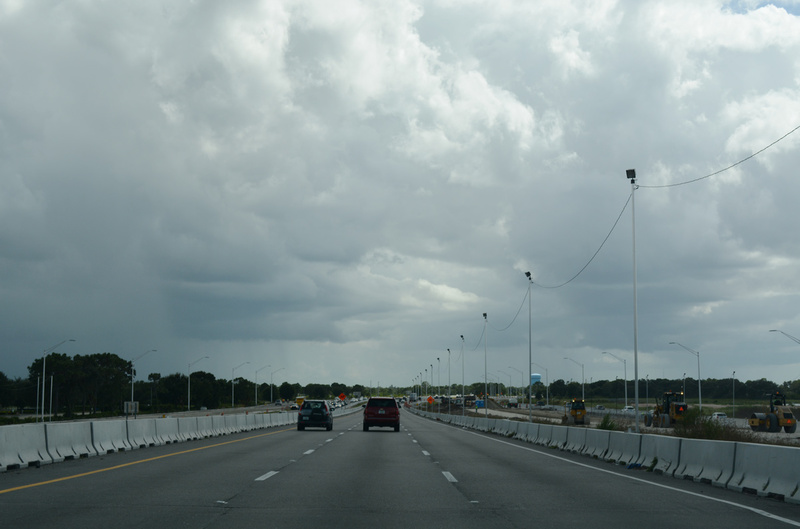 Traffic shifts back to the original southbound mainline as work adds the extended on-ramp from University Parkway. 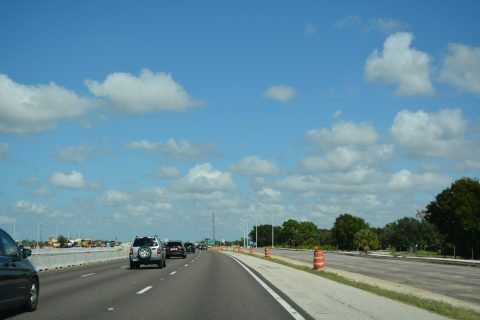 The construction zone is a regular location of traffic back-ups due to the S-curves currently in place. Sound wall installation on the approach to Exit 210, as work extends south to Florida 780. 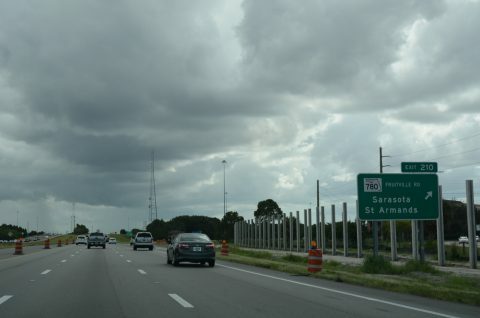 Interstate 75 south at Exit 210. 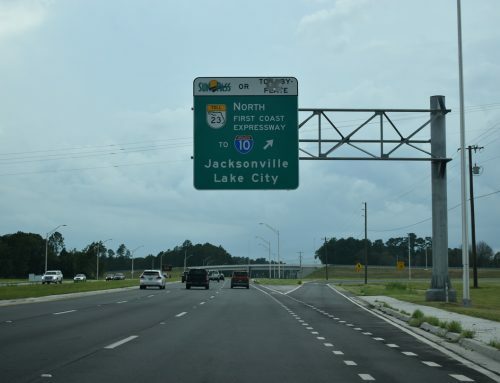 The on-ramp from University Parkway will form an auxiliary lane through to Florida 780 (Fruitville Road). Heading north from Florida 780 (Fruitville Road), construction focuses on expanding I-75 within the median. 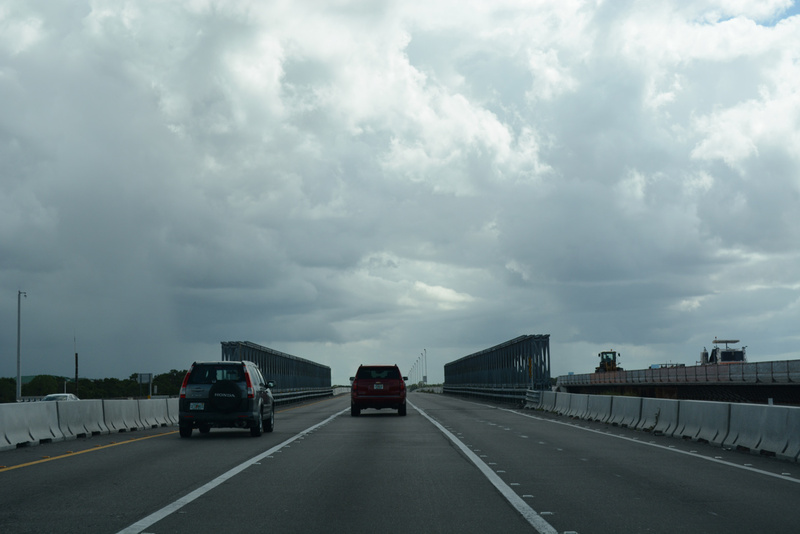 The freeway will accommodate eight overall lanes between Exits 210 and 213 upon completion of the project. 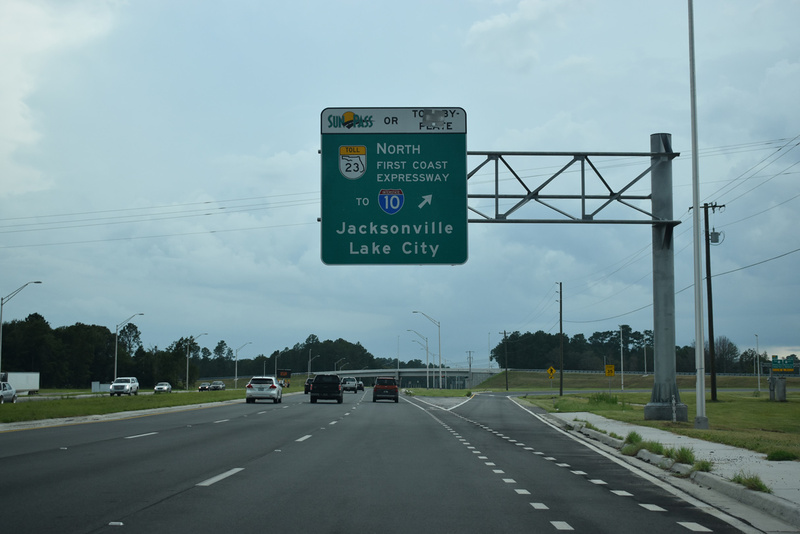 One half mile ahead of the current diamond interchange (Exit 213) with University Parkway. Displayed as County Road 610 along I-75, University Parkway is unnumbered along its route between the suburban Lakewood Ranch community to the east and by The Mall at University Town Center and Sarasota-Bradenton International Airport (SRQ) to the west. 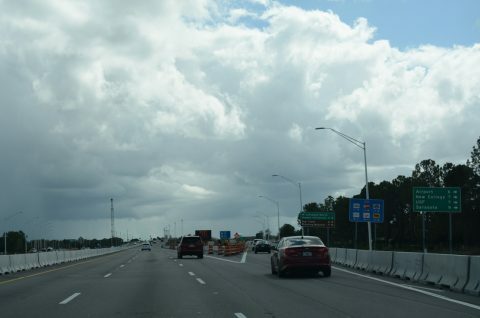 The extended off-ramp for University Parkway appears along side Interstate 75 north. 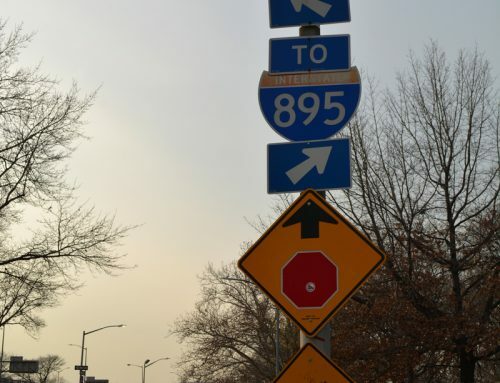 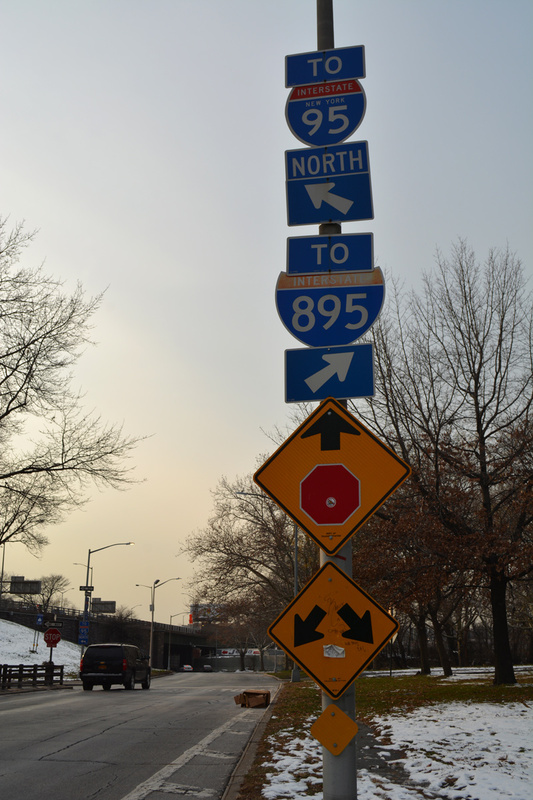 Two lanes will separate from the mainline ahead of a five-lane partition for the DDI. Spanning University Parkway, northbound travelers pass by the temporary bridge for I-75 south. 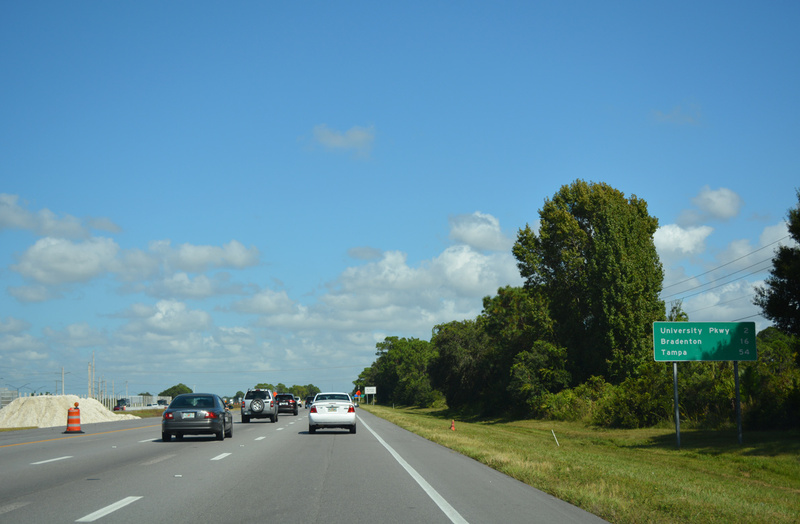 University Parkway straddles the Manatee and Sarasota County line west to U.S. 301.